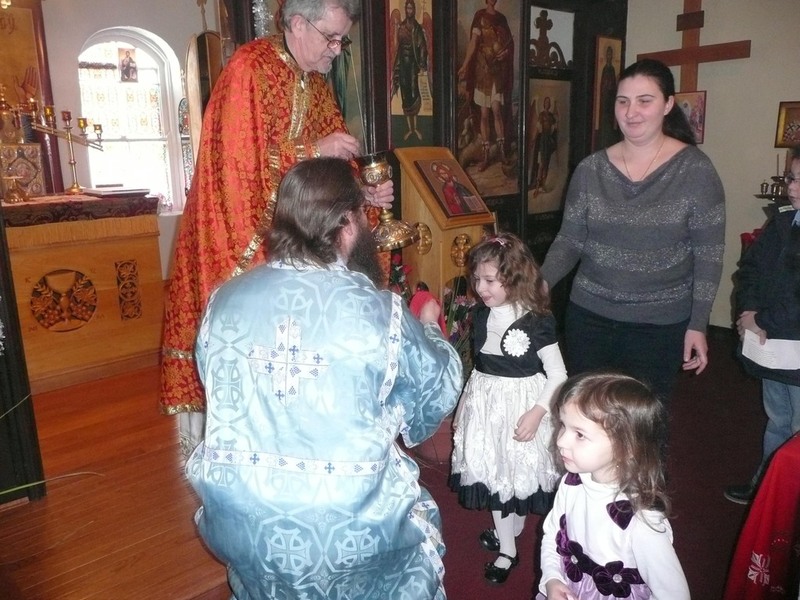 On January 26, 2014 at St. George Serbian Orthodox Church in Cincinnati, Ohio celebrated the beloved forefather of the Serbian Orthodox Church, Saint Sava. 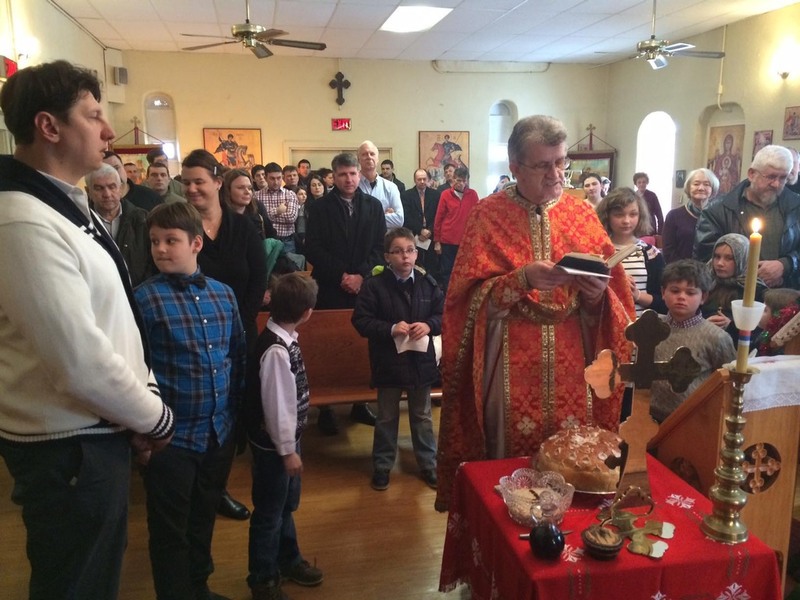 What a glorious day to see so many faithful with their children to celebrate the Divine Liturgy! On this extra special day, as every Sunday is special as we celebrate the resurrection of our Lord and Savior Jesus Christ, we also celebrated Saint Sava. 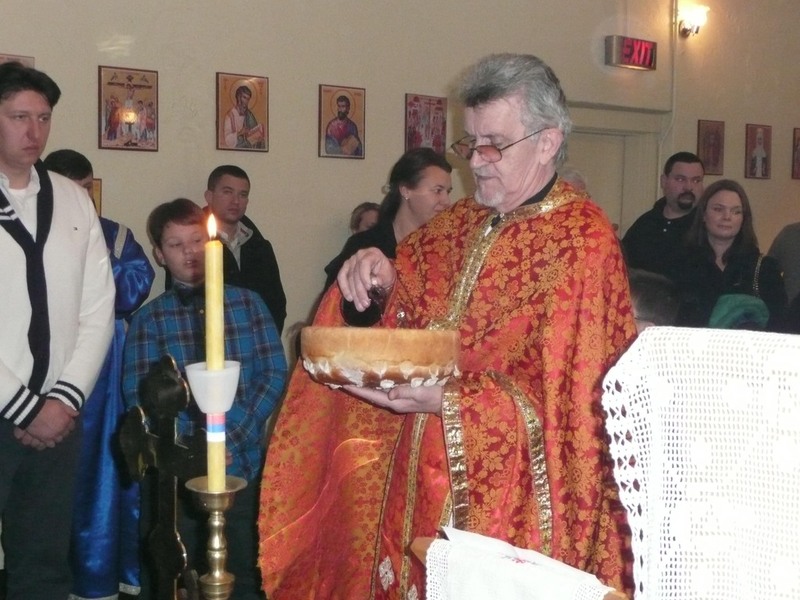 Father Petar was assisted in the altar by Thomas Frazer, Veljko Uverici, Marko Petrović, and Adam Meador, who served as acolytes. The choir sang beautifully as always, led by long-time parishioner Nancy Helbich. At the end of the service, Nancy was awarded by Father Petar and parish council president Čedomir Đoković a certificate of appreciation for the many years of attendance, support, stewardship, and love given in service to the parish of St. George. In addition to the certificate, Nancy was given a beautiful icon of Jesus Christ. 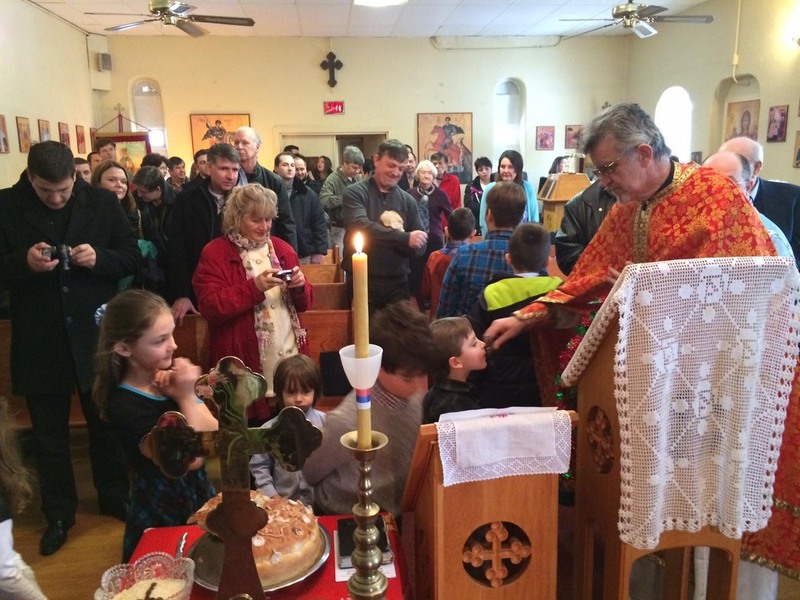 On a day to commemorate a Saint who has such a strong connection with children as the patron Saint of Serbian schools and schoolchildren, it was fitting that all children in attendance under the age of eight came forward and received Holy Communion. Sponsors for this year’s celebration were Saša and Evelina Laži with their children Nina and Aleksander. 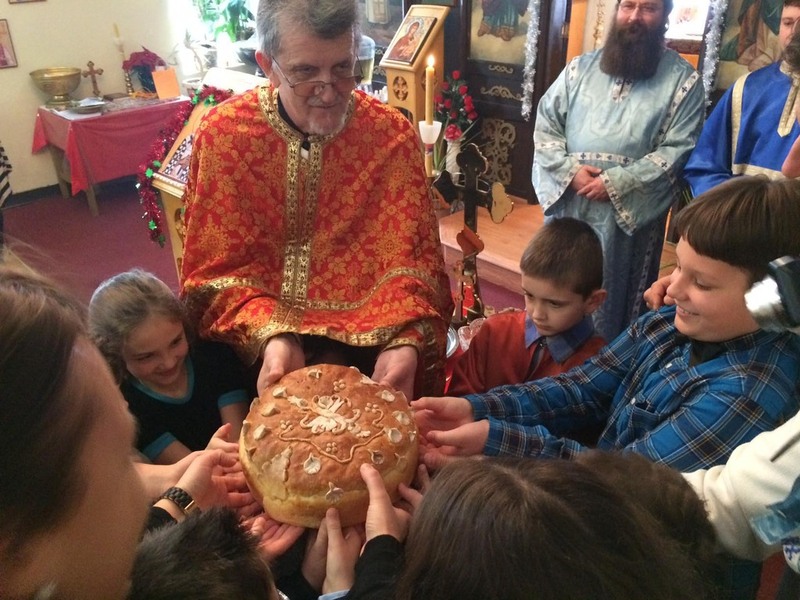 The Kumovi joined Father Petar and all children in attendance to bless the Kolač. 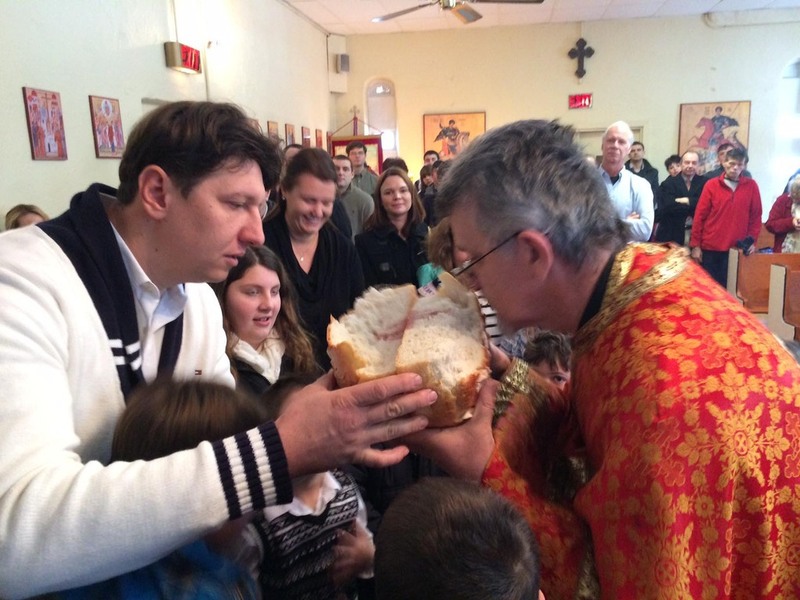 After the blessing, Father asked who would be willing to be Kumovi for next year’s St. Sava celebration. After some kind-hearted debate between potential Kumovi, Zdravko and Aleksandra Vidović were chosen along with their daughters Nataša and Sonja. Afterwards, everyone headed down to the fellowship hall for a delicious lunch provided by the Lazić family. Evelina and Protinica Gordana, along with other members of KSS, helped arrange the food for all the parishioners. What a wonderful example of loving hands offering their service as good stewards! 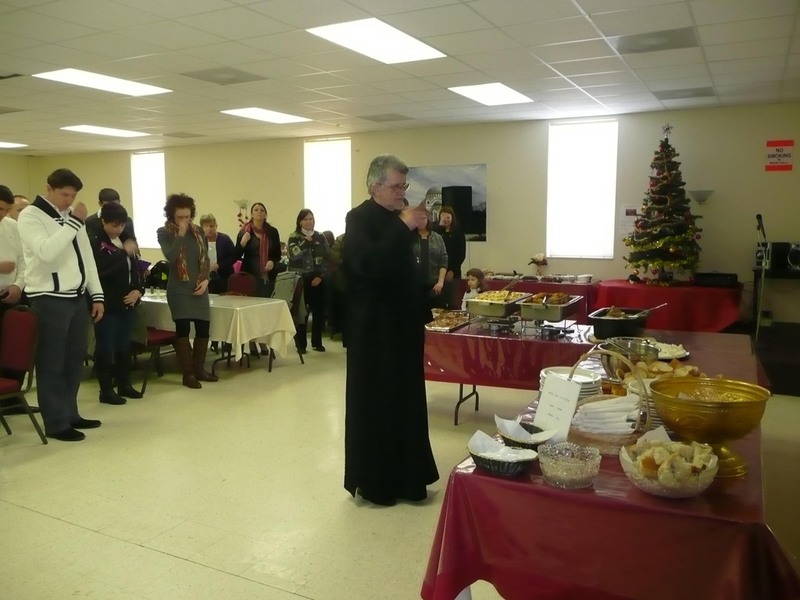 After everyone finished lunch, Dr. Slobodan and Eileen Stanišić conducted the Saint Sava program. After a welcoming speech from Aleksander Lažić, on behalf of him and his family, and a brief introduction from Dr. Slobodan, the program commenced. Dr. Slobodan and Eileen called for the different age groups of youth to come and recite the poems or songs that they had practiced at home with their parents. The fellowship hall was full of smiling faces, delighting in the efforts of the children and their parents to prepare for this special day. 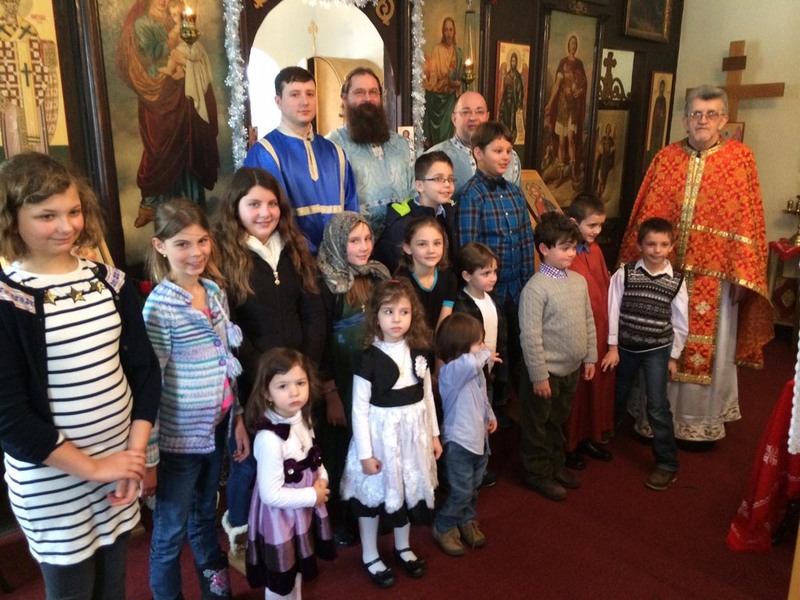 Each child received a gift from Eileen and Dr. Slobodan, as well as small icons of Saint Sava from the Kumovi, and were congratulated on their recitations from all in attendance. The success of this year’s celebration was a product of planning, hard work, commitment, and responsibility by all who made this day special, especially the children and parents. 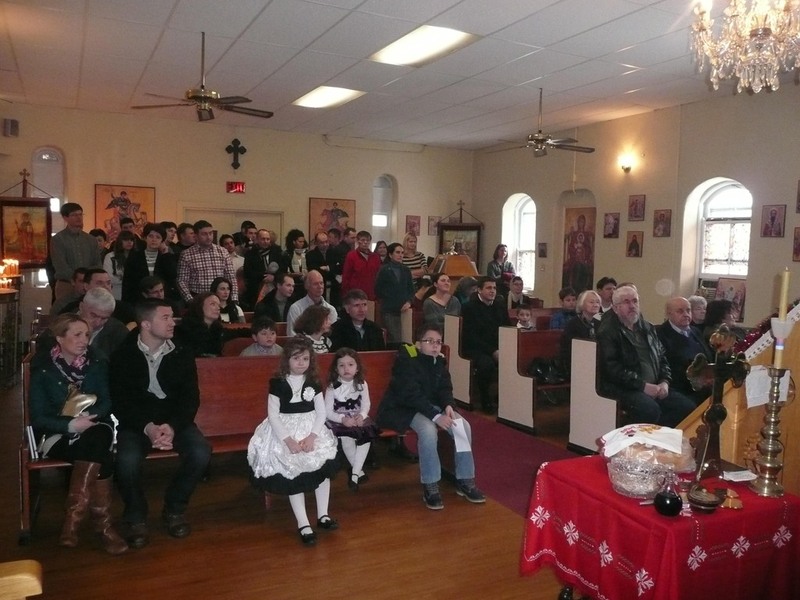 Christian love was ever-present on this day, visible through the laughter of children playing, smiles of parents as they watched their children during the recitations, during fellowship with friends and good food, and above all Christian love was visible as the Eucharist during Divine Liturgy. We pray that all of the children who attended, those who participated in the program and those who watched, will have a wonderful memory of St. George’s Saint Sava Slava Celebration 2014! We pray that God may bless each and every child, their parents, the Vidović and Lazić families, all who offered assistance in any way, and all parishioners of Saint George during this upcoming year! I think Father Petar’s wise words resonate in the hearts of the faithful of St. George and hearken back to the teachings of that humble prince of Serbia, Saint Sava. May God bless!